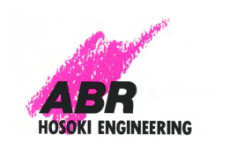 ABR Hosoki Engineering got its start with the TA22 Celica 2T-G 2000cc Team Europe rally car in 1978 and is based out of Tokyo, Japan. ABR is an acronym for Air Breathing Research and were some of the first to use and race the first ever HKS carb turbo kits of the era. They have been featured in numerous magazines for the past 36 plus years and are still doing what they do best, tuning and racing c...READ MORE ars. As a parts manufacturer they are best known for the ABR S-130 full body kit.